Here is a standard reversing relay schematic. THe purple and green "trim" wires go to your door lock motors. Your alarm trigger wires (-) tap into the two wires going to the switch. If this looks completely confusing, take it to a pro. 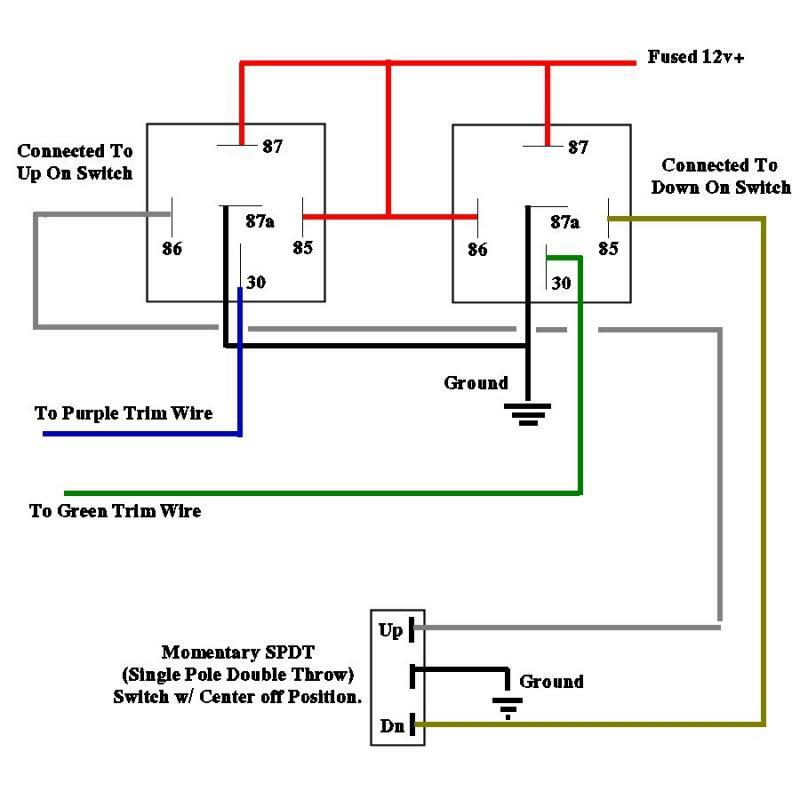 A seemingly simple concept, reversing relays are hard for many people to get a grasp of. Wow that's a real good diagram. and where would I connect the (-) output coming from the car alarm ? Thanks again. i have another question. Can i use these same 2 relays to power 2 door locks or would i have to add another 2 relays for another door? you only need the two relays.